More immersive, more weird, more personal – the future of music marketing is about to get a whole lot more exciting. But, as Music Ally’s director Steve Mayall noted, it’s not had it’s Pokemon Go moment – yet. 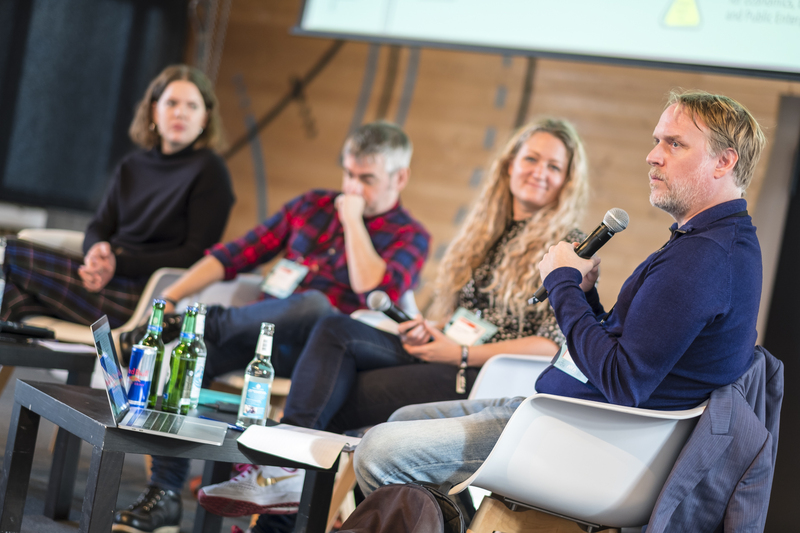 Steve, in partnership with MOST WANTED: MUSIC, presented a new white paper at the MW:M convention yesterday in Berlin, titled “Smart and Immersive Music Marketing Trends 2018.” (code: MWM18). He explained what the ramifications of Music Ally’s research on AI, voice assistants, AR/VR, and immersive environments are likely to be on music marketing with a panel of major-label and live event marketing experts: Lisa Hultengren, Creative Manager, Sony Music Sweden, Josh Saunders, Head of Tech & Creative, Warner Music Group, and Marketing Consultant Emily Scoggins, who formerly oversaw marketing at The O2 in London. (You can watch the whole panel here. The discussion kicked off with some of today’s most ambitious technology before moving onto tomorrow’s – including the hitherto-secretive unicorn startup Magic Leap – and cited big-name, big-money examples of modern marketing experiences like Gorrillaz’s mixed reality Humanz app and Muse’s upcoming mixed-reality “Simulation Theory” world tour. The panel then moved on to how major shifts in smart technology would impact the way marketers connected with fans, including the onrush of AI and how it will apply to music in the realm of music creation, remix, and fan communication, as well as voice control, including how users choose, discover and select music via smart speakers. “MOST WANTED: MUSIC is structured to build new connections between technology and the music and creative industry and new knowledge as well. Our idea is to create a space for inspiration outside the box and to effect new ideas and businesses. Music Ally’s white paper emphasizes which new ways in marketing are possible – and necessary”, Stephan Hengst says, Director of MW:M.
MOST WANTED: MUSIC, now in its fifth year, has become the most important music business event in Berlin and one of the largest conferences for music and creative industry professionals in Germany. It is run by the Berlin Music Commission, the music industry network of Berlin.